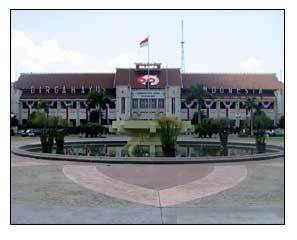 City Hall, the Municipal City Plaza is located in Surya Park area - Central Surabaya. It was built during the Dutch Colonial rule. The Indonesian rule.The Indonesian Govermenthas built more modern architecture City Hall, just across the street at the rear of the old building. The old building is now use by the Regional Legislative Council.